The V-Tower by Arizer is a very efficient whip style vaporizer that provides a superb quality vapor. Like all Arizer vaporizers, the V-Tower uses glass to help create a pure tasting vapor. An easy to read digital display and intuitive control buttons makes operation a breeze, even for first time users. 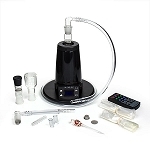 A 90 degree angled bowl and whip promotes airflow while making group and solo sessions easy and convenient. 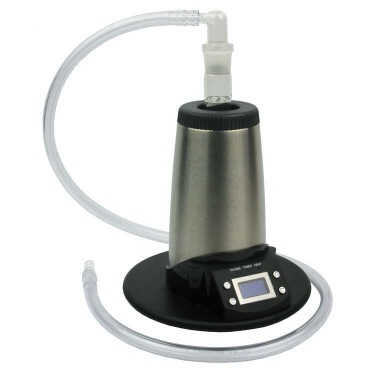 Arizer's V-Tower is a great solution for those who are not interested in the balloon functionality of the Arizer Extreme Q, and prefer a strictly whip style vaporizer. Call us at 201-389- Mon-Fri 10AM-6PM Eastern and we will be glad to assist you or take your order by phone. Warranty Information: Lifetime warranty restricted to normal use.